A Belated Virtual Paintout Post- County Kerry, Ireland | Oh Sarah O ! I was on a roll with creating sketches in January, so I decided to look at another location from The Virtual Paintout archives. In October 2014 The Virtual Paintout explored County Kerry Ireland. I found that this region had many great castles and landscapes to choose from, but I wanted to paint something a little different. 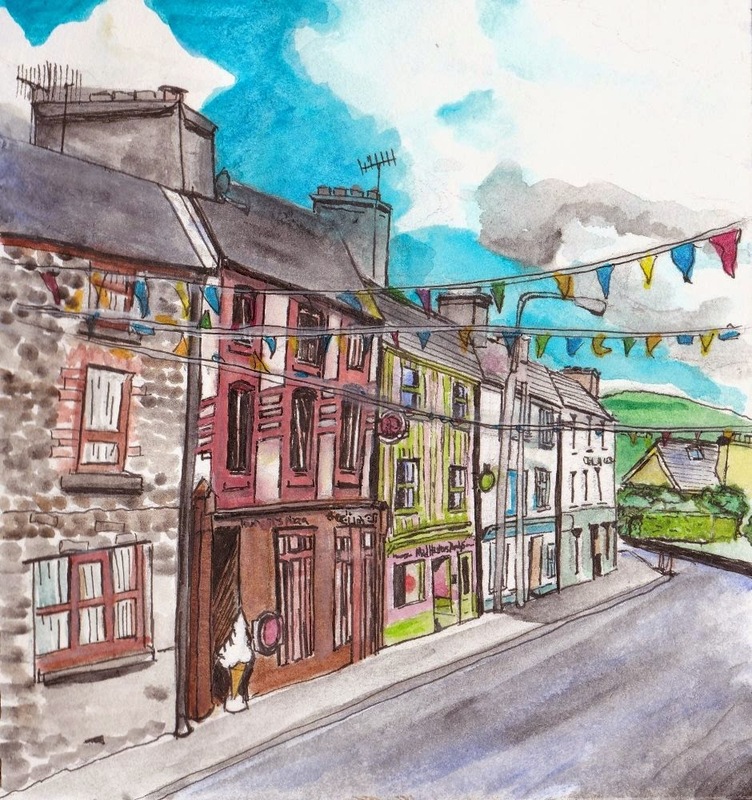 When I think of Ireland I think about bright colored pubs juxtaposed with lush green scenery, so I was happy when I found this street view in Dingle, Ireland (I'd also like to add that I thought the name, Dingle, was very fun to say).